After a summer spent checking out some of Dubai’s best indoor cinema experiences, we’re excited to be heading outdoors to catch a film this winter. 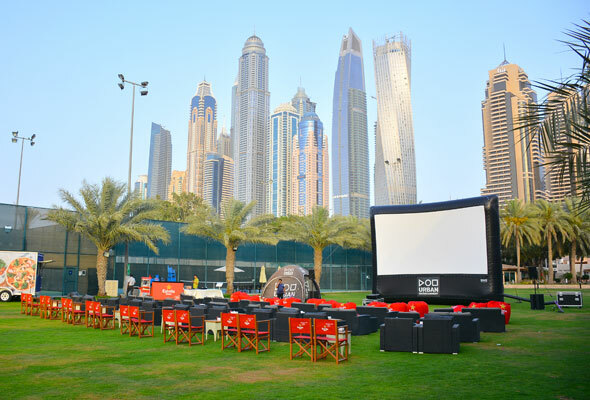 And we don’t have long to wait, as the Urban Outdoor Cinema has announced it’s returning to the Habtoor Grand in Dubai Marina this month. 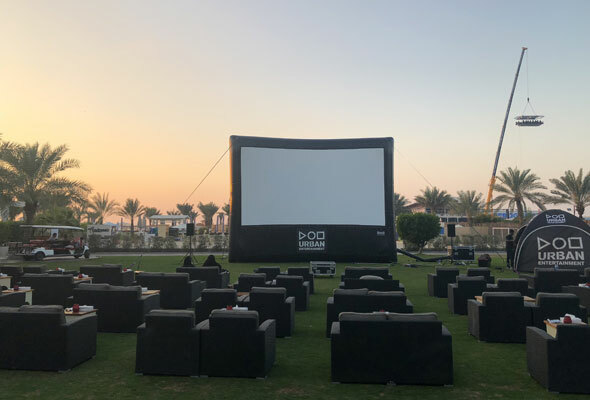 From Saturday October 20, Urban Entertainment will be putting on three films a week at their cosy outdoor cinema on the lawn of the Habtoor Grand, running every Saturday, Sunday and Monday. Well it’s kicking off the first weekend with the smash hit musical, The Greatest Showman from 7.30pm on Saturday October 20. It will be followed by two huge classics, Top Gun on Sunday and Notting Hill on Monday. Although the films start at 7.30pm, doors open from 6.30pm, and you’re advised to head down early to bag the best seat. The following weekend, the outdoor cinema will show three consecutive days of Halloween specials; A Quiet Place will kick things off on Saturday October 27, Shaun of the Dead follows on Sunday, and The Lost Boys conclude the Halloween trilogy. Throughout the final two months of the year, you can expect a full schedule of smash hit films on the bill, from Harry Potter to Pretty Woman and Romeo and Juliet. Tickets are priced at Dhs75 for the film, but there’s also waiter service on hand where you can order a selection of all the usual cinema snacks as well as pizzas and tapas. Drinks on offer include soft drinks as well as wines and beers.